For decades, American hungers sustained Tijuana. In this scientific detective story, a public health expert reveals what happens when a border city’s lifeline is brutally severed. Despite its reputation as a carnival of vice, Tijuana was, until recently, no more or less violent than neighboring San Diego, its sister city across the border wall. But then something changed. Over the past ten years, Mexico’s third-largest city became one of the world’s most dangerous. Tijuana’s murder rate skyrocketed and produced a staggering number of female victims. 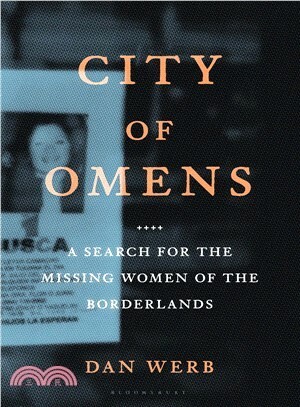 Hundreds of women are now found dead in the city each year, or bound and mutilated along the highway that lines the Baja coast. When Dan Werb began to study these murders in 2013, rather than viewing them in isolation, he discovered that they could only be understood as one symptom among many. Environmental toxins, drug overdoses, HIV transmission: all were killing women at overwhelming rates. As an epidemiologist, trained to track epidemics by mining data, Werb sensed the presence of a deeper contagion targeting Tijuana’s women. Not a virus, but some awful wrong buried in the city’s social order, cutting down its most vulnerable inhabitants from multiple directions. Werb’s search for the ultimate causes of Tijuana’s femicide casts new light on immigration, human trafficking, addiction, and the true cost of American empire-building. It leads Werb all the way from factory slums to drug dens to the corridors of police corruption, as he follows a thread that ultimately leads to a surprising turn back over the border, looking northward. Dan Werb, PhD, is an assistant professor in epidemiology at the University of California San Diego and the University of Toronto. He has received major grants from the National Institute on Drug Abuse, the Pierre Elliott Trudeau Foundation, and other organizations. His writing has appeared in publications such as the Believer and the Walrus, where his feature “The Fix” on new tactics for treating injection drug use won a Canadian National Magazine Award. He is based in San Diego and Toronto.